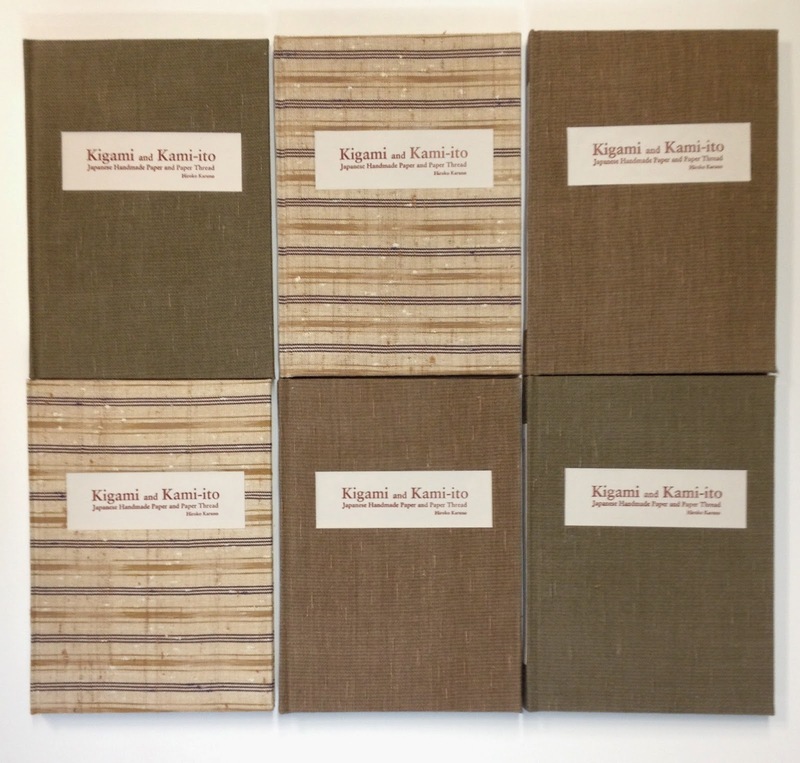 Specially bound copies of a new book by Hiroko Karuno, "Kigami and Kami-ito", the results of years of study in the traditional Japanese method of making paper thread from handmade paper. This thread has been used to weave "shifu" cloth for kimonos and other textile items since at least the 17thC. Hiroko wanted us to create a few copies of the book bound in her shifu, three versions of which are on view here. The creation of the cloth alone, first the thread, which can be dyed with such things as gardenia seeds, loquat leaves and Japanese chestnut skins, and then the weaving into 6' lengths about 14'' wide took several months of meticulous work. You can imagine that this supplied a nervous moment when cutting the lengths up for making the cases. Paperback copies of this extraordinary work are available at The Paper Place on Queen St. in Toronto or from The Japanese Paper Place.